Would you rather... | Cattails: Become a Cat! Hello. This game is pretty simple! Example: Person1: Would you rather be in an earthquake or tornado? Person 2: Be in a tornado. Would you rather have homework for the rest of your life or repeat 1st grade over and over. 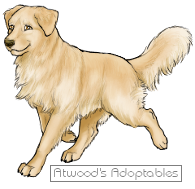 I start: Would you rather have to leave your pets or have to buy another pet? I am a crying shame. Buy another! I've always wanted a Bearded dragon! Have nothing forever. Life is good, yes? Would you rather pee your pants onstage or fall asleep doing a test? Fall asleep during a test! Fight 100 chicken-sized zombies. You didn’t say altogether. Would you rather be mind controlled and consciously throw your phone and computer into the ocean or have random uncontrollable urges to lick whatever is in your hand? Licking my whatever is in your hand. I can't throw stuff in the ocean because it'll kill animals, also i need it to survive. Never read or listen to a book again. Would you rather go blind immediately ten years later or have your eyesight fail slowly until you become completely blind five years later. Both painlessly. Eyesight fail. It'll happen when I'm dead. Would you rather quit the forums forever, or post, "I'm the biggest [insert very bad word here] ever!" and get banned. Would [insert very bad word here] count as doing something like this: "*!"? Would you rather be a fox or wolf? Would you rather eat centipedes or touch a living one? Touch a living one. Why did you have to ask that? Would you rather never be able to kill a fly or always scream and run from them? Never be able to kill one. 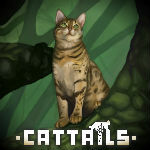 Would you rather lose all your Cattails Steam achievements or lose three of your real life achievements? Would you rather win a free game you will never play or never win your favorite games you don't have and it takes a year to save up for it? Win a free game I’ll never play. Can be resold? At least gifted. Would you rather be an immortal robot but programmed to only do literature-related work or be one but programmed to skydive instead? Would you rather go deep into the Marinara Trench (Beyond what we have already) or go into outer-space further than humans have?